Optimizing your content for search engines means optimizing it for readers: Quality content wins in rankings as Google refines its algorithms to give searchers what they want. While SEO tricks and shortcuts only serve to get your content penalized in the long run, that doesn’t mean that marketers should ignore how to use the underlying algorithms that cause quality content to be rewarded. New findings about how Google incorporates user metrics to rank quality content can help you create content to achieve and measure specific key performance indicators. These KPIs help you place priority on the human perspective while still keeping Google’s methods in mind. The good news is that since you’re practiced in creating content for readers first, you’ll find it easy to aim for these new KPIs to help rank your content even higher, reaching a wider audience with little additional effort. Read on as I share which user metrics Google considers to determine rankings, and the steps you can take to optimize your quality content to reach the users who are searching for it. What user metrics influence rankings? If you ask Google directly how user metrics influence rankings, you’re not likely to get a straight answer. But a little digging makes it clear. User reactions to particular search results or search result lists may be gauged, so that results on which users often click will receive a higher ranking. But don’t take Google’s word. Many experiments indicate that user metrics directly influence rankings (in one particularly convincing case, Moz’s Rand Fishkin mobilized his Twitter followers to temporarily boost the rank of a link). In addition, the evidence strongly suggests that good performance in terms of clicks and dwell time on an individual page also can impact the rankings of your site’s other pages. Now that you understand what user metrics Google uses to determine rankings, you can optimize your content to perform well for those metrics, allowing your organic rankings to rise. Let’s look in more detail at how you can improve each of these metrics. Follow this three-step process to review what’s working well and take steps to improve what you’re doing for better rankings, which will garner more clicks. Focus first on the pages that need the most help. You can quickly find pages with a low CTR by logging in to your Google Webmaster Tools account and navigating to the Search Analytics report. Choose to display Clicks, Impressions, CTR, and Position in your report. A page’s CTR is influenced by its current search engine results ranking and other factors such as the type of query, (i.e., branded vs. non-branded queries). On average, you can expect at least 30% of clicks for a No. 1 position in search results, 15% for a No. 2 position, and 10% for a No. 3 position, according to the Chitika study. Select all pages in No. 1 position and make a list of those with a less than 30% CTR. Google search results display a snippet with a title, URL, and description. Focus on these factors to increase your clicks. First, make sure your title tag and meta description meet the technical requirements or they’ll be cut off or displayed incorrectly. Google displays about 65 characters of your title tag, so make sure searched-for keywords are included in the title. Keep your description at 160 characters or less so it displays in its entirety. Consider rewriting your headlines to be more clickable and conversion-oriented, instead of SEO-oriented. If your headlines are keyword-rich, bald statements of what the page contains, rewrite them to be more enticing for the searchers to click. For example, the headline, Title Tags in Content Marketing | Content Marketing Institute, could be rewritten to: Everything You Need to Know about Using Title Tags in Content Marketing. Use the same principles in writing descriptions that capture searchers’ attention and incite their curiosity. By default, Google only displays a title, URL, and description in the search results, unless rich snippets are implemented. Recipes – preparation time, nutrition facts, etc. Google can opt to display that rich-snippet information within the search result itself. Implementing rich snippets is as easy as adding a bit of code to mark up the data. You can use Google’s Structured Data Testing Tool to see how your snippets would appear in search results. The second part to boosting your rankings with user metrics is to increase the amount of time searchers spend on your site and to prevent them from pogo-sticking to other results. Of course, quality content is a top priority. Make sure the content lives up to the promise of your newly optimized title, and is compelling and useful for your readers. According to CMI research, compelling content must be unique, credible, and trustworthy in order to engage readers. Readers need to feel that they can trust the information you provide. Relying on data, analysis, and credible sources enhances your credibility with your audience. Content also should be written in a transparent, clear, and polished style. The most compelling content won’t increase your visitors’ dwell times if they don’t wait for it to load. Make sure your page-load speeds are optimized as much as possible. 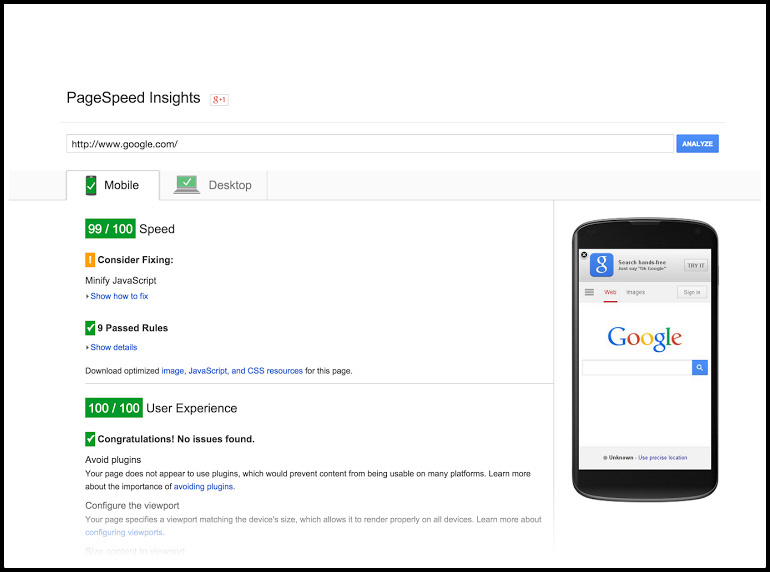 You can use Google’s PageSpeed Tools to help analyze your site and evaluate suggestions for improving your page-load speed. In addition, factors like confusing navigation, distracting pop-ups, and intrusive ads cause many visitors to go back to the search results. 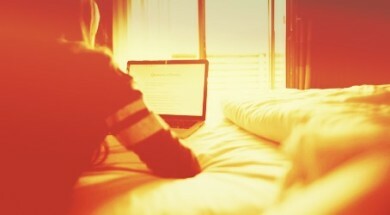 Compelling content needs to be easy to use and share. One logical way to increase dwell time is by encouraging further exploration of the site. You can link to related content within your site, and make sure your navigation is intuitive and logical. Adding a “related articles” or “related products” section at the bottom of each page is a great way to keep readers engaged on your site, as is enabling a site search so readers look for other content they need themselves. Also, be sure to periodically check your site for broken links and fix them quickly since this is a common frustration that can cause visitors to abandon your site. 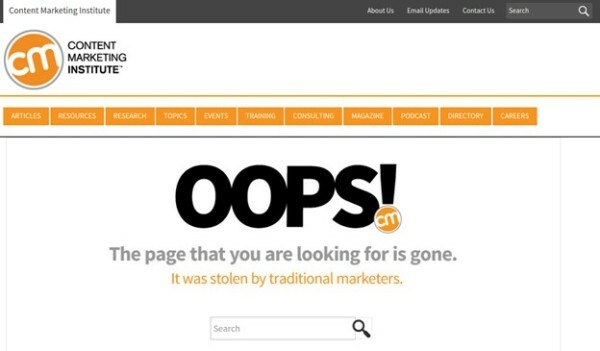 A blank 404 page puts a block in front of your visitors, giving them no option but to turn around and try another site. You can’t prevent all errors, but you can certainly mitigate them by making your 404 page useful. Including a search box and links to popular content can keep visitors engaged on your site. Even if they don’t find the original page, similar content can capture their interest. By enticing searchers to click on your page from Google search results and engaging them to stay on your site, you can boost your search-engine rankings, resulting in a positive feedback loop that results in more readers for your content. SEO and content marketing are more related than many marketers think: You can optimize for search engines by optimizing for your readers – that’s what Google always aims to reward no matter what algorithm changes the future brings. Want to stay updated on the latest SEO trends, content marketing insight, and more? Sign up for the daily or weekly CMI blog.